The construction industry is fraught with peril. In fact, one in every five worker deaths in 2016 were construction workers. In 2016, 5,910 workers were killed on the job, an average of more than 99 per week and more than 14 deaths per day. 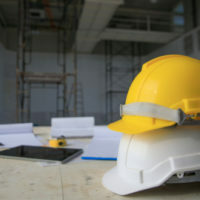 There are hundreds of procedures and protocols in place to prevent construction accidents and deaths, but ultimately, it is up to workers, managers, contractors, and supervisors to ensure that everyone complies with safety procedures, because it is when safety procedures are ignored that accidents happen. Though OSHA would require all businesses to comply with certain standards and safety procedures—which include performing routine maintenance inspections—not every employer is required to. However, just because a business is not required by law to perform regular inspections, every company that is in the construction business, or that requires employees to operate heavy machinery or equipment, should take it upon themselves to perform frequent inspections. If they do not, and if an employee is injured as a result of faulty equipment, the employer could be held liable. If you were injured by a piece of poorly maintained equipment at work, reach out to the Miami construction accident lawyers at Spencer Morgan Law for a free case evaluation. Depending on the nature of the accident and what your employer’s workers’ compensation policy looks like, you may be able to recover compensation outside of that offered by workers’ comp. Welding, cutting, and brazing equipment. Additionally, any equipment that has been modified from its original factory design must be done so in a way so as not to increase the piece of equipment’s risk of mechanical failure while in use. It too must be assessed and maintained on a regular basis. Though OSHA has strict standards in place, and procedures in place to make sure that those standards are being met, some employers willfully ignore regulations to save money. Because of this, OSHA mandates that any company that is required to perform routine assessments designate a safety officer whose full-time duty would be to conduct regular safety inspections, and to log all measures taken by the company to ensure employee health and safety. Unfortunately, many employers also find a way around this, and they fudge maintenance records, safety meeting minutes, training session notes, and other documents that OSHA looks for as proof of compliance. However, most companies do not think to falsify records until after an accident has occurred, which is why it is imperative that those documents are obtained as soon after an accident as possible, giving the employer little to no time to create false records. If you were in an accident and did not contact an attorney before your employer had a chance to falsify records, there is still hope. An experienced attorney can review the records and compare them with other records to determine their accuracy. Furthermore, a lawyer may review your employer’s history and if he or she discovers a long-standing history of skirting the rules, use that to further collaborate the belief that the maintenance logs have been doctored. Unfortunately, there are many employers out there who would rather save a buck than ensure the safety of their employees. If your employer is one of them, and if you were injured by a piece of equipment that did not receive the mandated routine inspections and repairs, you may have a solid case against your employer. Reach out to the experienced Miami construction accident attorneys at Spencer Morgan Law for a free case evaluation today.